Coquina Beach is located on the southern tip of Anna Maria Island in a pristine natural setting in the Bradenton Beach area. Surrounded by looming Australian pine trees that provide plenty of shade, this beach is great for couples and families with its lifeguard services and amenities. Coquina Beach is a truly fantastic place to spend your vacation days, as it has a more private and laid back atmosphere compared to some of the other beaches in the area. It’s often less crowded than Manatee Public Beach in Holmes Beach, but offers just as many facilities. 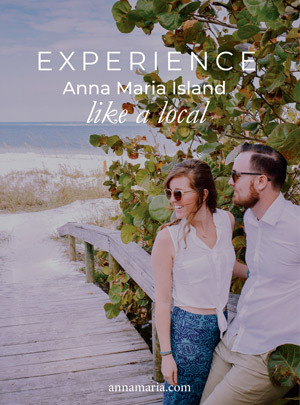 Coquina Beach offers a unique natural setting that you’ll have to experience at least once during your Anna Maria Island visit. It features sand dunes intermixed with beach grass and sea oats which create a gorgeous shoreline. You’ll be able to spot a wide range of nesting and shorebirds here and occasionally might also see dolphins leaping about in the Gulf. Sea turtles are also found in the area during their nesting season where they come to the shore and lay their eggs, but there are strict requirements to never touch or disturb them or their young. Coquina Beach is truly made for beach recreation and fun. The park has a shady picnic area with the looming Australian pines keeping you cool on the hottest days. Pack a lunch and eat it with your family while watching the wildlife and the sunshine bounce off the clear blue water. You don’t have to bring food with you, however, as there is a café right on the beach (Coquina Beach Café). Try riding a bike on the expansive multi-purpose trail if you want a break from swimming – this trail is the only one of its kind on the island and a very scenic ride. The Coquina Beach Café at the beach serves breakfast, lunch and dinner daily so you can stop in whenever you’re craving a quick meal or drink. There’s a nice selection of wine, beer and frozen drinks to keep you cool, along with frequent live entertainment. Sit outside on the deck under an umbrella and dine on a delicious breakfast. Order your choice of omelets, biscuits and gravy, waffles, French toast and many other options. A wide range of salads, tacos, sandwiches, and specialty items are also available for lunch and dinner, all at great prices! Coquina Beach is located in Bradenton Beach at 2650 Gulf Drive. There is a free trolley stop right at the Gulfside park, and the trolley traverses the entire length of the island. You can easily get to the beach if you’re staying in any Bradenton Beach rental. Even if you are staying in an Anna Maria vacation rental on the northern end of the island, the trolley will get you to Coquina Beach in no time. Ideally, you’ll want to spend at least a day in this area if you are traveling from a further distance, as there are plentiful attractions in the nearby historic Bridge Street area to explore, as well as an incredible nature park nearby at Leffis Key.